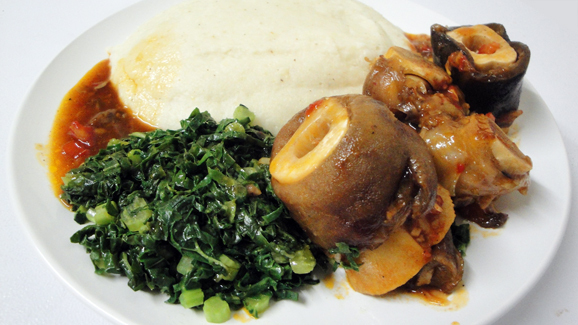 People who eat too much of Zimbabwe’s staple sadza are more likely to be diagnosed with diabetes, according to the Zimbabwe Diabetic Association (ZDA). Contrary to widely-held belief that diabetes plagues people who consume large amounts of sugar, people who take too much starchy foods have a higher risk of suffering from diabetes, which researchers called a modest increased risk. Five percent of youths below 30 years of age have type 1 diabetes and should be on insulin medication for life, according to the ZDA president John Mangwiro. Most have type 2 diabetes, which occurs when the body cannot make or process enough of the hormone insulin. “Diabetes is not eating too much sugar, but too much sadza instead and milk which people consume in large quantities as they eat breakfast cereals,” he said. Mangwiro said it is important to note that type 2 diabetes, which is lifestyle-oriented, was on the rise and comprises 95 percent of Zimbabwe’s diabetic population. For people to be clear of the illness, they should avoid mimicking western lifestyles and food stuffs. “People should go back to traditional food stuffs such as rapoko, sorghum and indigenous fruits like matohwe, maroro and mazhanje. “In 2005, there was a national census of diabetes and it was found that five percent or 1,5 million people were diabetic. Internationally, it is recognised that in that population, half the people are not aware of their diabetic status,” he said. Mangwiro said people need to know what to eat appropriately, when to eat, frequency, timing and how much to eat. The doctor warned that diabetic patients were expensive to treat. “In a study that we carried out at Harare Hospital, we found that a person who stays in hospital with diabetes complications will need no less than $1 400 for treatment, but if people are made aware of their unhealthy lifestyles, such statistics will go down,” he said. Some medications such as anti-retroviral medication, anti-psychotic and corticosteroid drugs can lead to diabetes, he said. The ZDA president said in terms of medication, insulin analogs that are available privately are very expensive and government was negotiating with manufacturers to bring down the cost. Zimbabwe was yet to introduce the new version of tablets. However, the old drugs are still working and should be taken religiously.